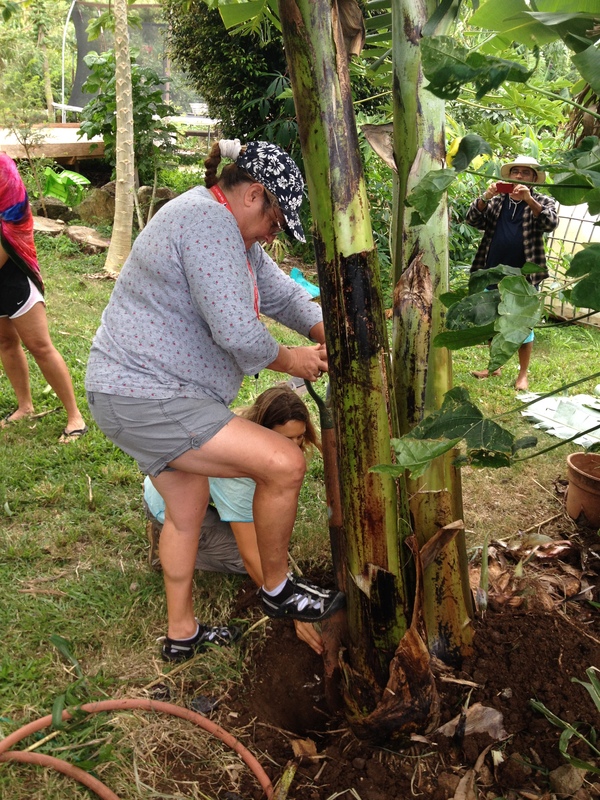 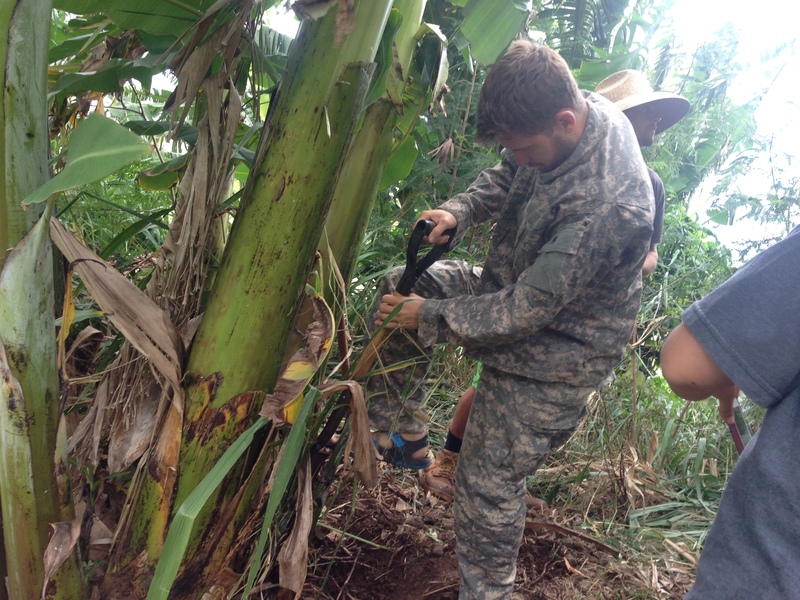 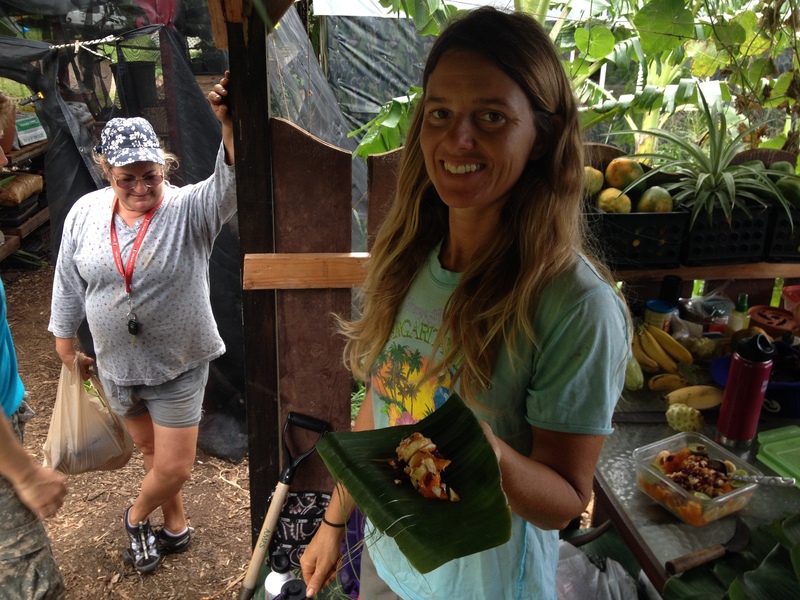 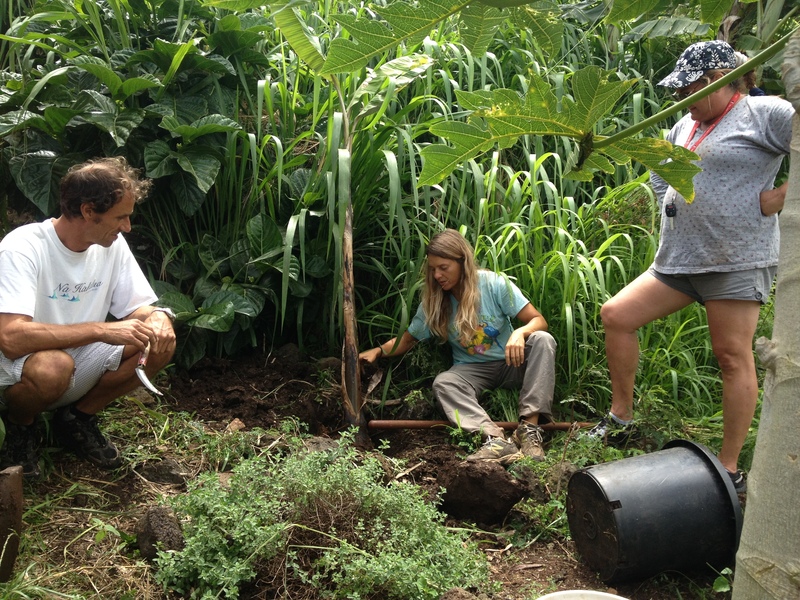 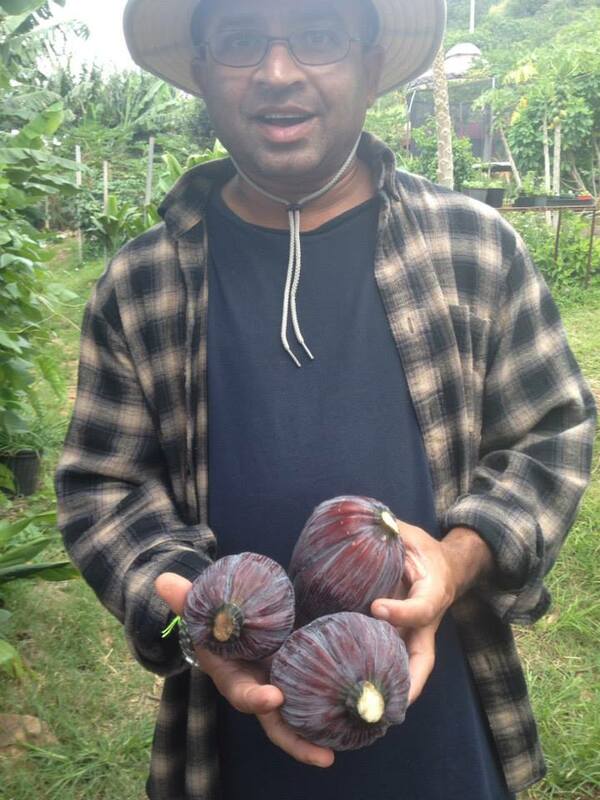 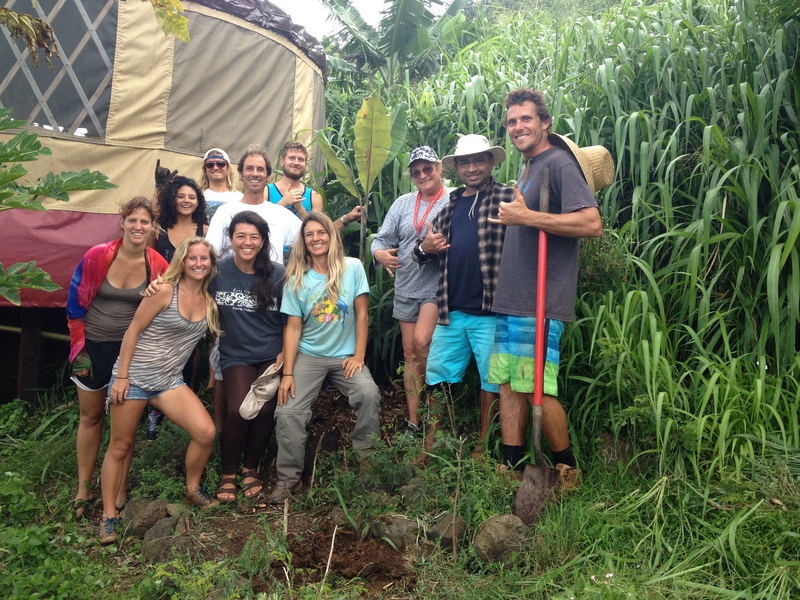 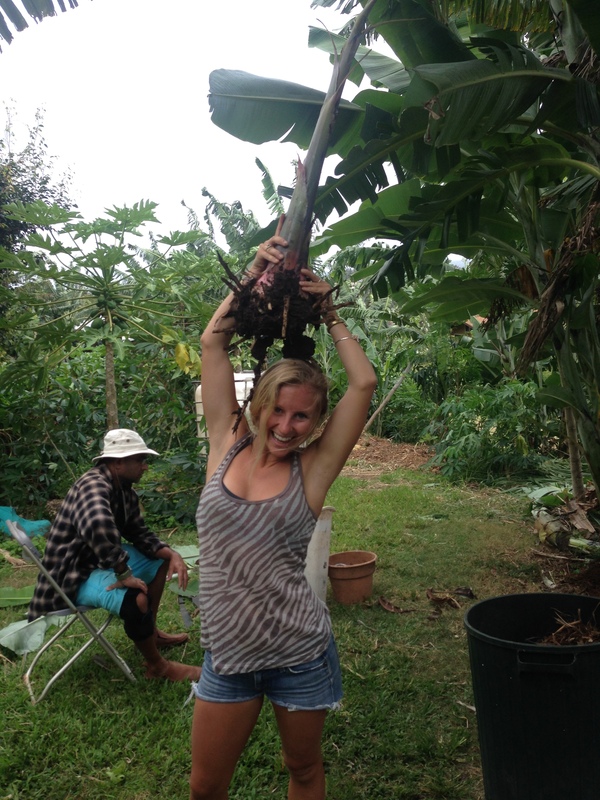 On Sunday April 13, 2014, Drew Wilkinson and Tia Silvasy hosted a Banana Growing Workshop at Positive Energetics Foundation on the North Shore of Oahu. 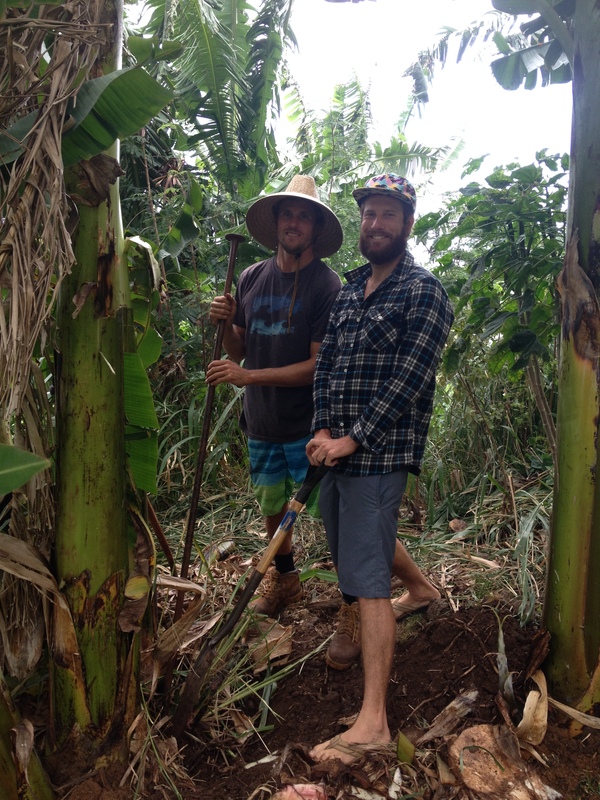 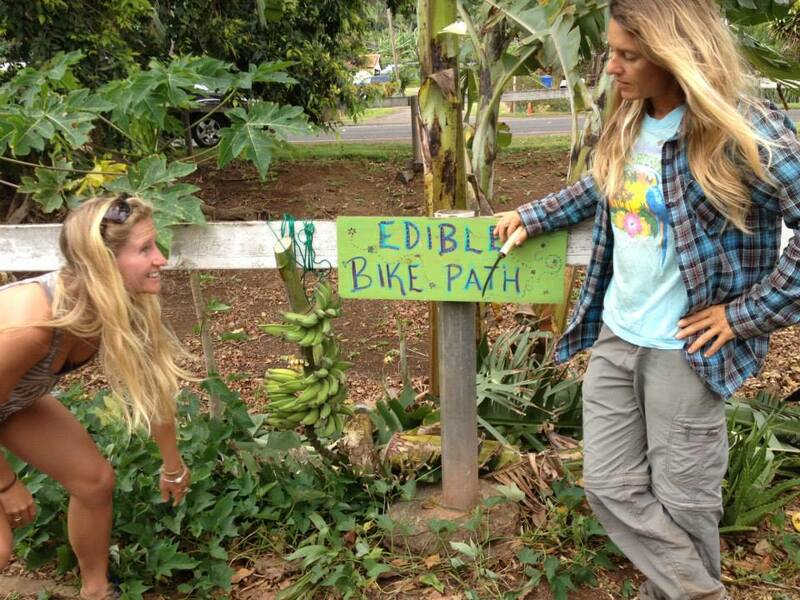 We started out on the North Shore Edible Bike Path and then moved onto the farm at Positive Energetics Foundation where we delved into banana basics such as maintenance, harvesting, and propagation. 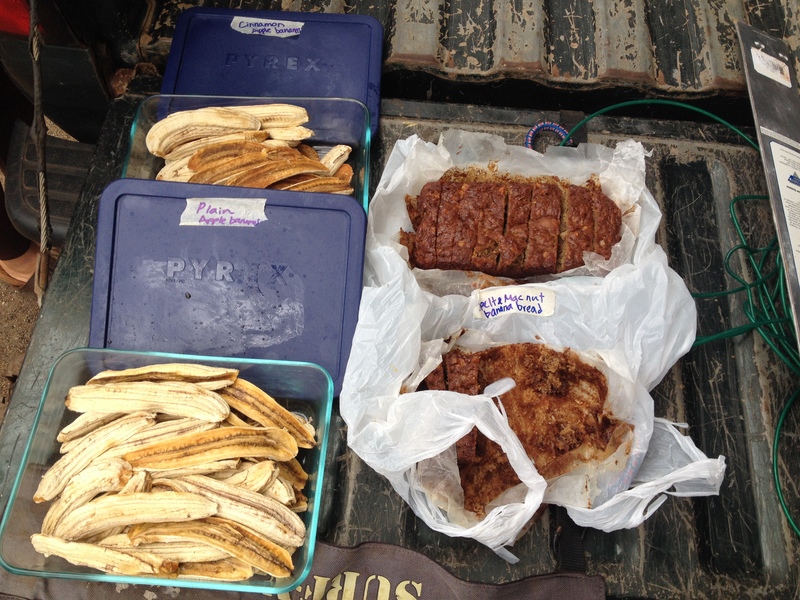 We tasted our way through some delicious recipes including banana mac-nut bread, dehydrated cinnamon bananas, banana-papaya fruit salad, banana ice cream, and a delicous salad with creamy banana dressing. 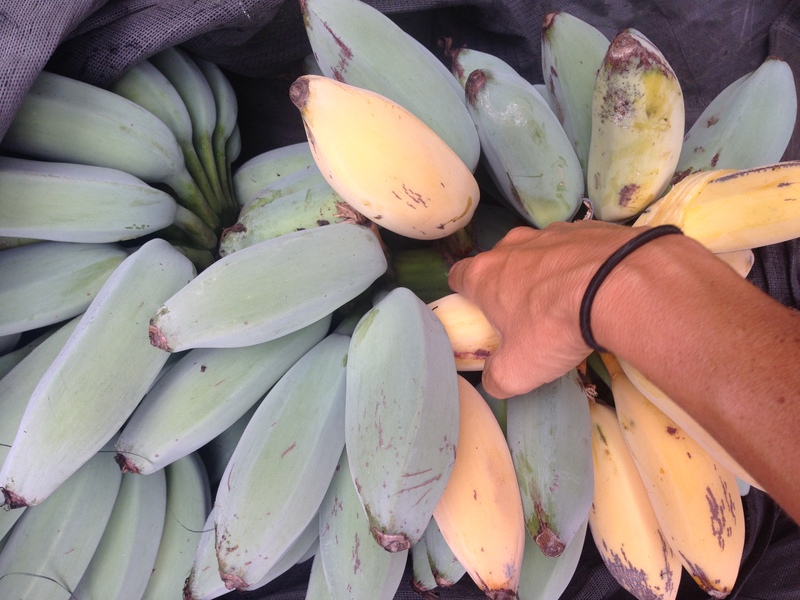 Everyone got a chance to dig up and take home a banana pup or two or three. 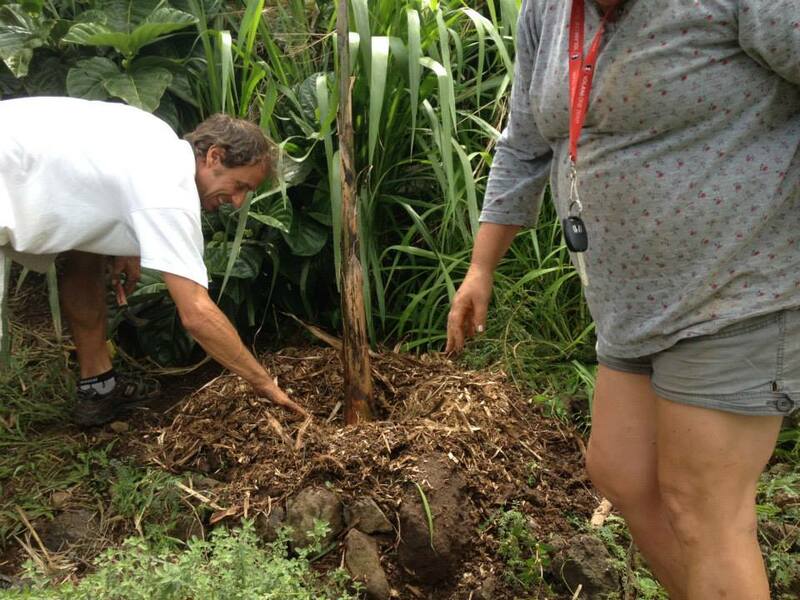 We also explored strategies to identify and combat bunchy top virus by first treating the affected plant with a soapy-neem spray a few days before to kill off the aphids, then cutting down the plants, and removing the entire mat or root system and disposing into garbage bags for non-green waste disposal. 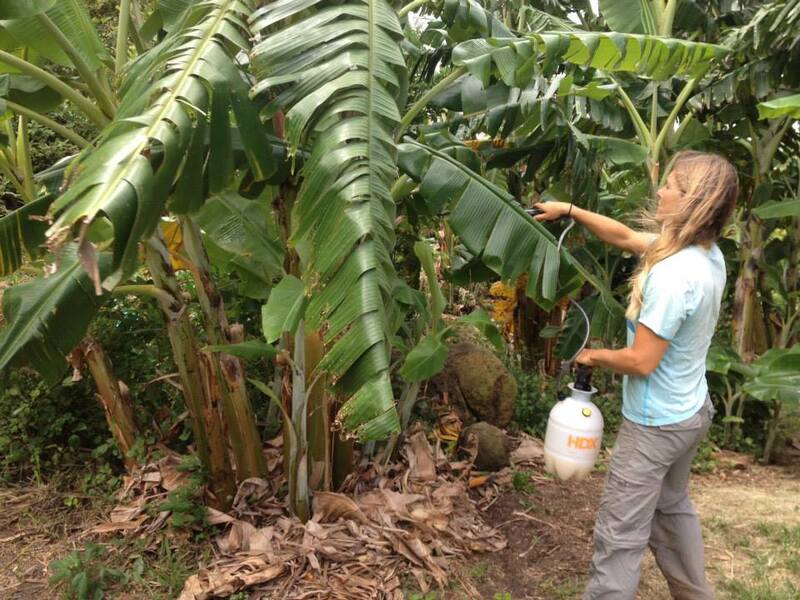 For more information on how to treat and prevent the spread of bunchy top virus check out this website from CTAHR.